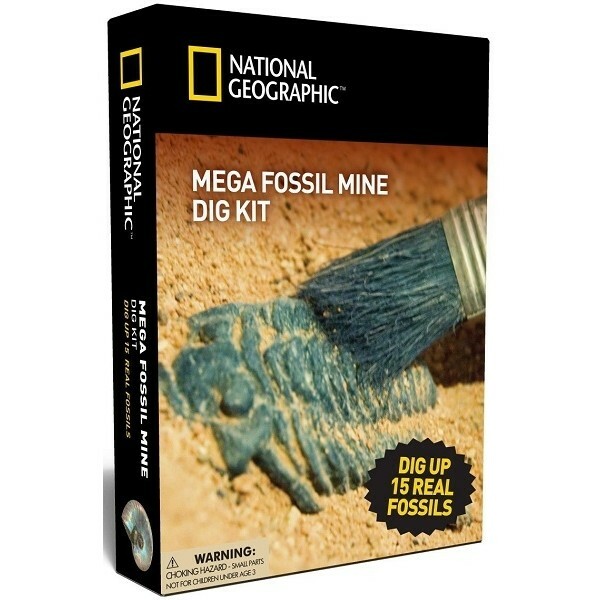 Unearth real fossils with this hands-on kit from National Geographic! 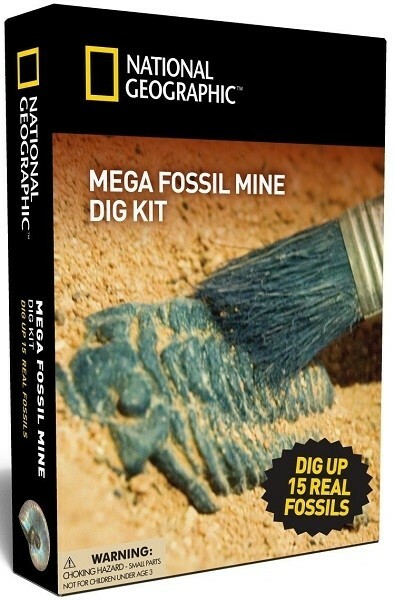 The Mega Fossil Mine dig includes archeological tools and a digging site filled with 15 genuine fossil treasures just waiting to be unearthed. Each of these real fossils are millions of years old! Identify each one and learn about their formation with our fascinating and detailed learning guide. 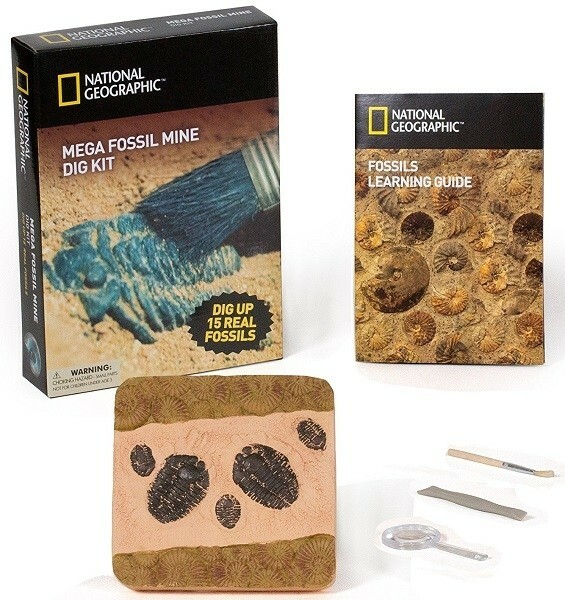 This science kit includes a large dig brick containing 15 ancient fossils, a learning guide, archeological digging tools, and a magnifying glass.